Crandon, WIShort course racing at Crandon International Raceway could be considered to resemble the Super Bowl at Green Bays Lambeau Field. The sports biggest event happening on the sports hallowed grounds. 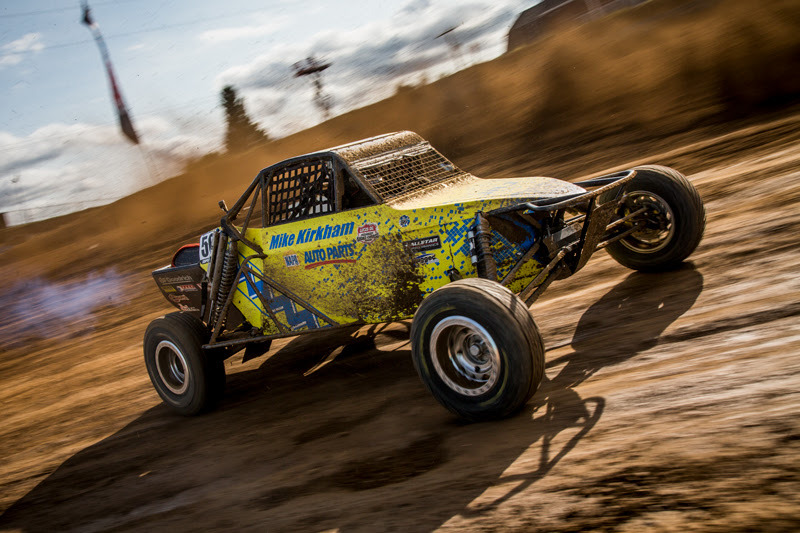 Alumi Craft Super Buggies looked like the MVP all-star race car to have with an impressive Round 7 podium sweep. 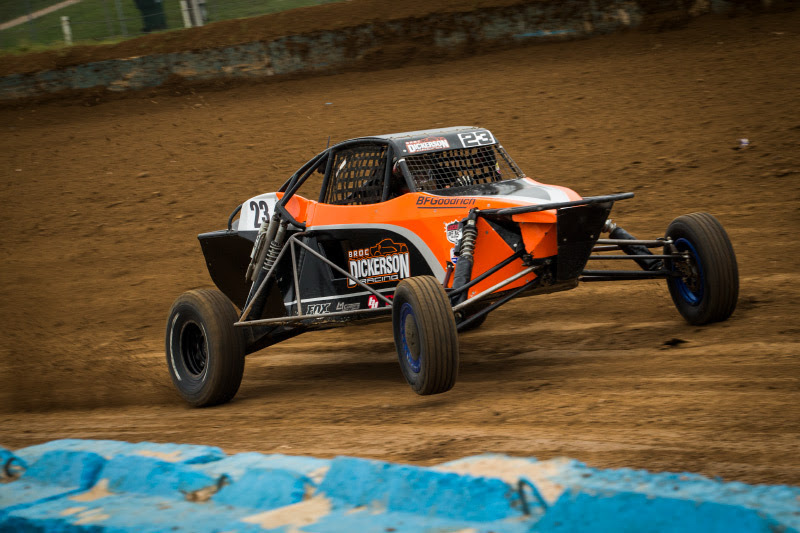 Alumi Craft Racers stole the show again in Round 8 with a 3rd place podium finish and Michael Meister with the back-to-back victories to clinch the MidWest Short Course League (MSCL) Super Buggy Championship. To top if off, Trey Gibbs won the STEEL-IT Pro Buggy World Championship in his Alumi Craft Super Buggy, his first pro career win. 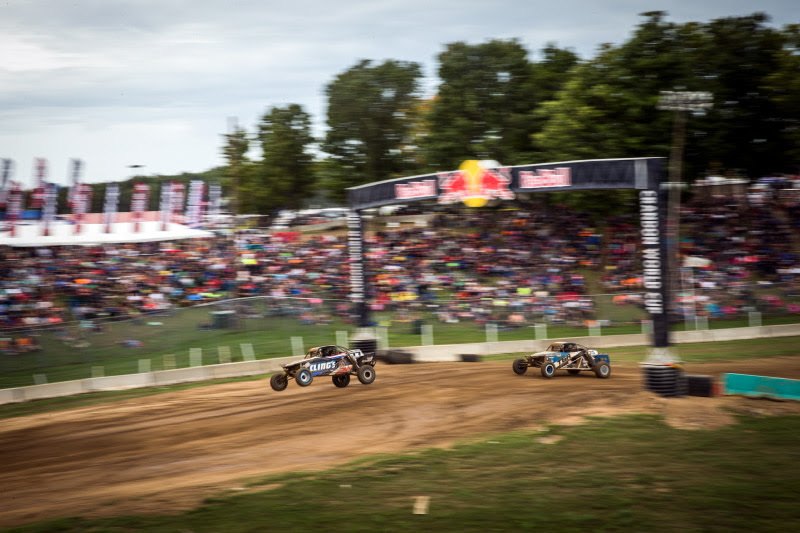 The 49th Annual Crandon World Championship saw big crowds enjoying a labor day weekend in beautiful summer time Wisconsin. The fans packed in and the racers punched the ticket with four days of exciting short course off road racing. For Friday’s Round 7, the Super Buggy event saw 15 competitors sprint around the 1.3 mile course at thrilling speeds. Similar to a highly trained athlete perfecting their craft, Michael Meister; driver of the #94 Alumi Craft ran the perfect race nearly unchallenged green flag to checkered. Sterling Cling finished 2nd in the #77 Alumi Craft with Mike Kirkham 3rd and Michael Hester 5th rounding out the Top 5. Saturday’s Round 8 was complete opposite with wild racing and reckless carnage. 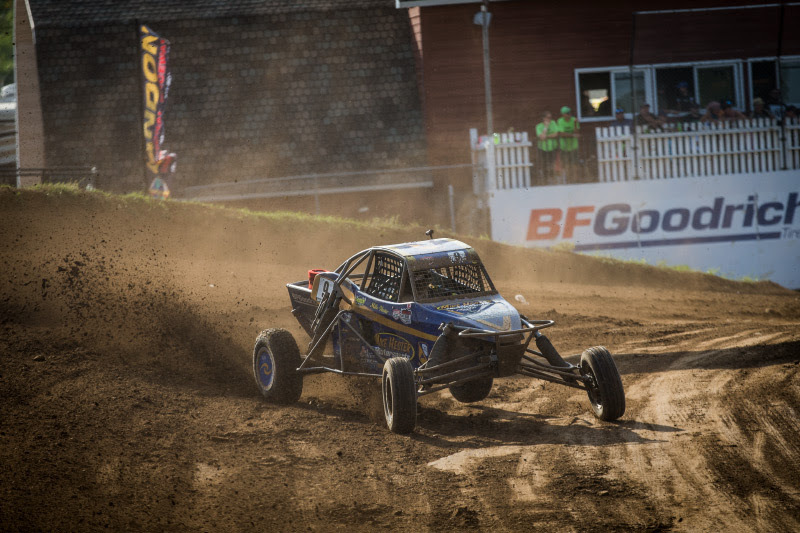 Michael Meister [who also won the 2017 Super Buggy Championship] stayed clear and ahead of the chaos. Meister made the pass for the lead on Lap 3, and kept the #94 Alumi Craft in position till the end for another race win. This victory secured the 2018 MidWest Short Course League (MSCL) Super Buggy Championship for Michael. Alumi Craft Racers Broc Dickerson scored a 3rd place podium while Sterling Cling earned a 4th place and Michael Hester with a 5th place finish. “As quickly as it started we are now done with the 2018 season!” Meister commented, “It is an amazing feeling to be able to do back-to-back Super Buggy Championships. 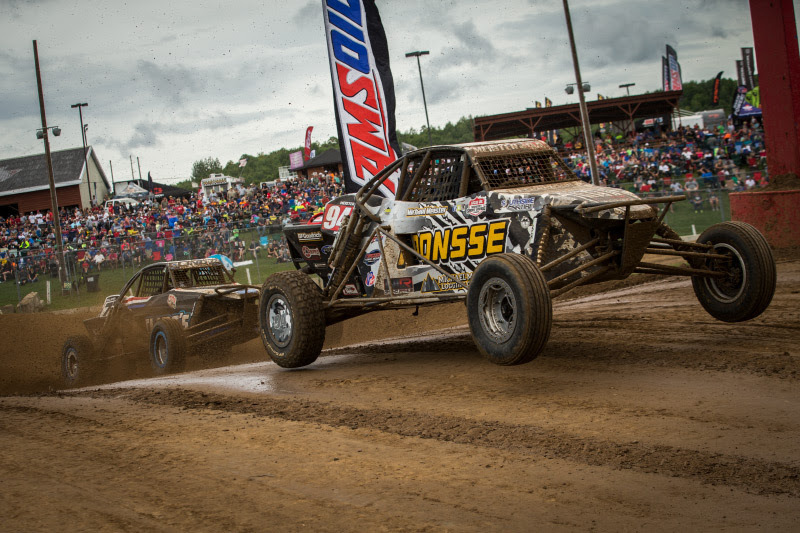 It was a tough and demanding season with a growing car count of good drivers but our Alumi Craft Buggy was more than up to the challenge.” Meister went on to finish 2nd on Sunday’s cup race, the weekend’s main event, nearly sweeping Crandon. 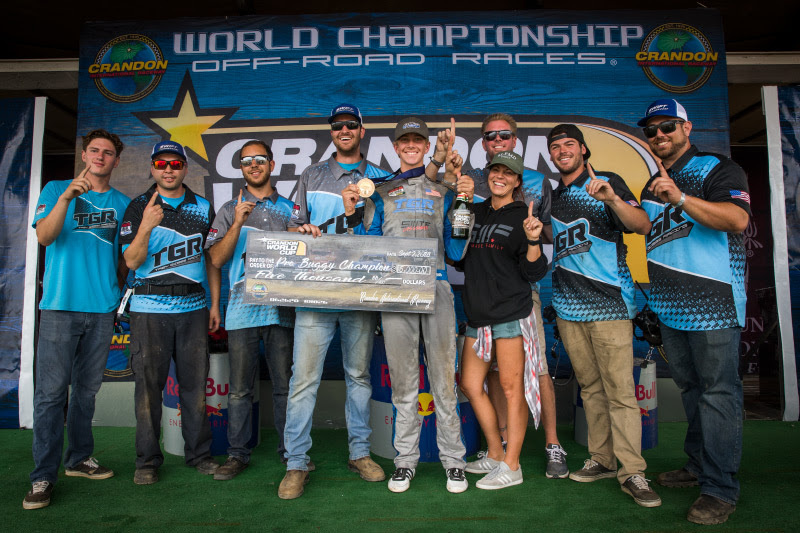 The big race of the weekend, the Crandon STEEL-IT Pro Buggy World Championship took place on Sunday to close out the weekend and let everyone free for Labor Day. Simply put, the cup race is always the one to watch. No championships to worry about. No racing left on the schedule. Just bragging rights, the trophy and the big check. Racers go all in and give it all they got. 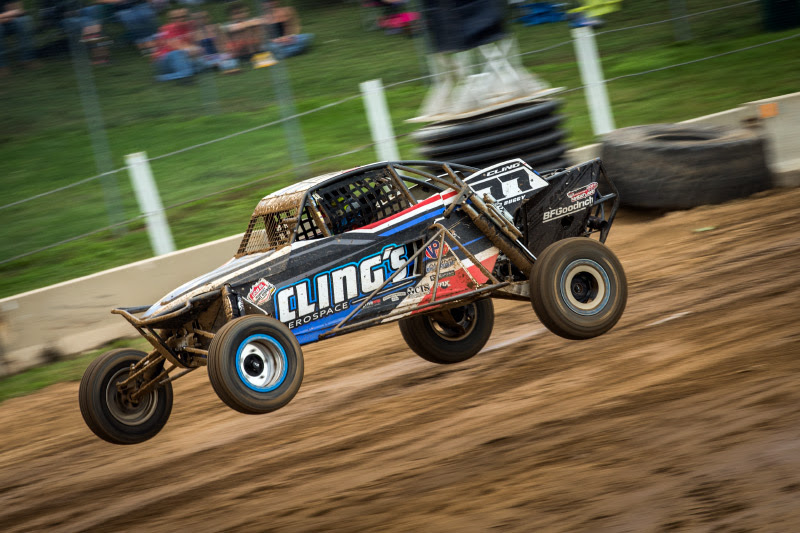 One Trey Gibbs, a rookie in the Super Buggy pro class, giving it all he had early in the weekend suffered from a pretty hard impact which caused severe suspension failure in Saturday’s event. Only completing 5 laps in Round 8 and then missing the qualifying session, Trey Gibbs and team were scrambling to get the car repaired and race ready for the World Championship. With about 15 minutes till the green flag, Trey’s Alumi Craft finally rolled out of the pits to the field for the legendary land rush start and took on Crandon’s best. Whatever the TGR guys did worked and worked very well. Starting from the 5th position, Gibbs was able to work his way up into the Top 3 by Lap 2. Trey maneuvered the Alumi Craft again to secure the lead on Lap 5 and held on to earn his first pro career win and Crandon World Championship. 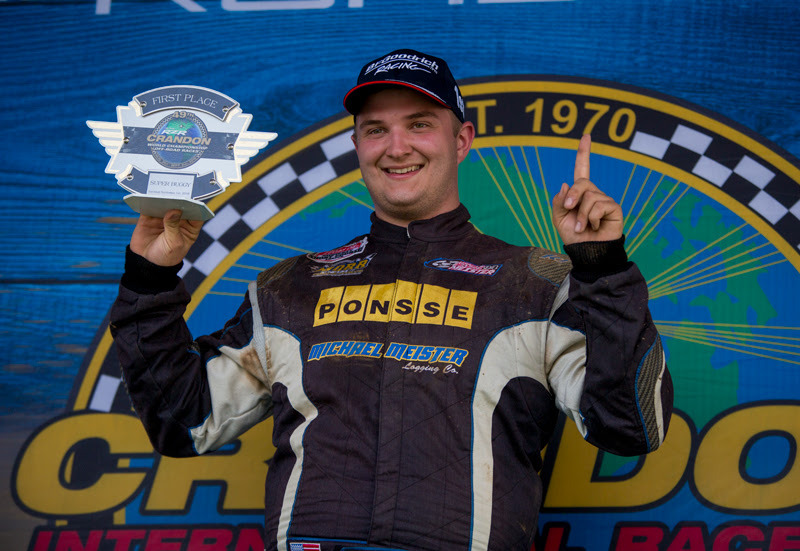 Trey also won the Crandon World Championship racing in a Mod-Kart in 2017. “The weekend sure didn’t start like I would have liked it to,” admitted Gibbs. “After ripping the right rear of my car off on Saturday’s race, my team worked all night to get the car ready for the World Championship race. We didn’t get the car finished till about 15 minutes before and went out not knowing what to expect. After a long hard fought battle, I was able to finish the race with no power steering and still put the #15 Alumi Craft on top of the box! From a bad day Saturday to a World Champion on Sunday!! 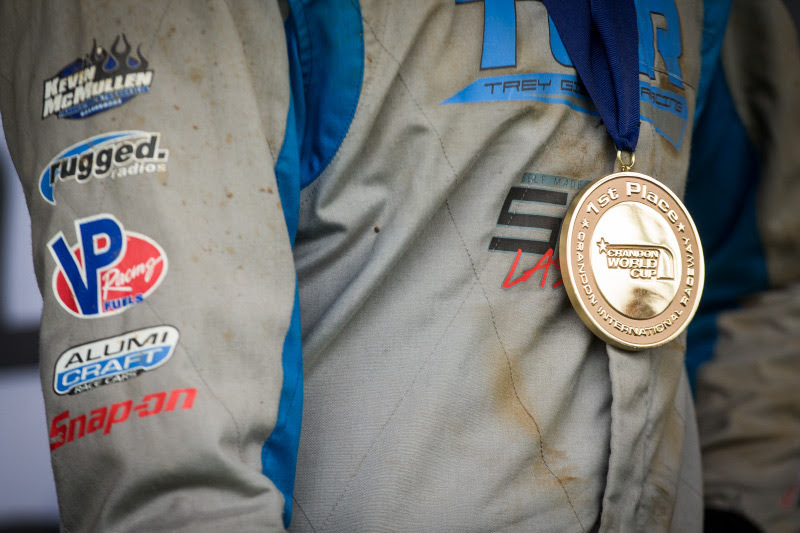 Our 2nd Year Getting Gold at Crandon. You got to love that! 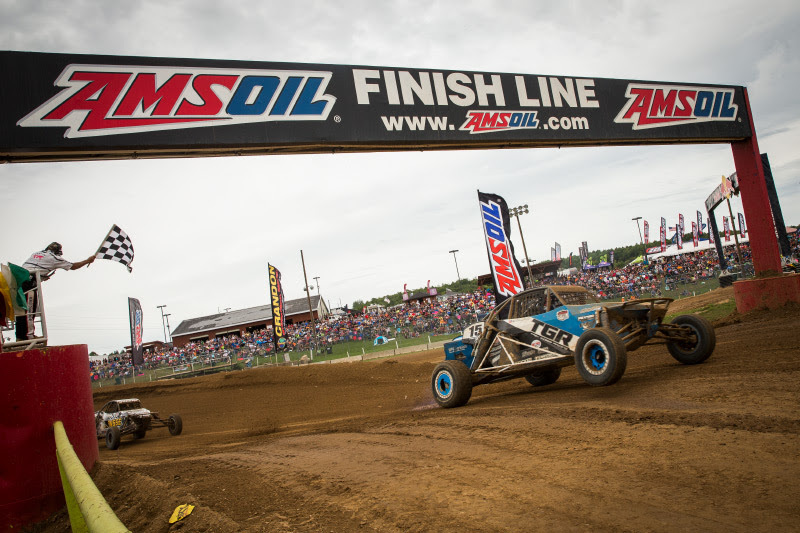 Getting a shot to even race at Crandon is what dreams are made of. They do not call it the “Big House” for just any reason. So for the lucky few that work their way up into the top ranks, it takes much fortitude and strategic planning. In every well comprised play book, the equipment is a critical component for game day success. 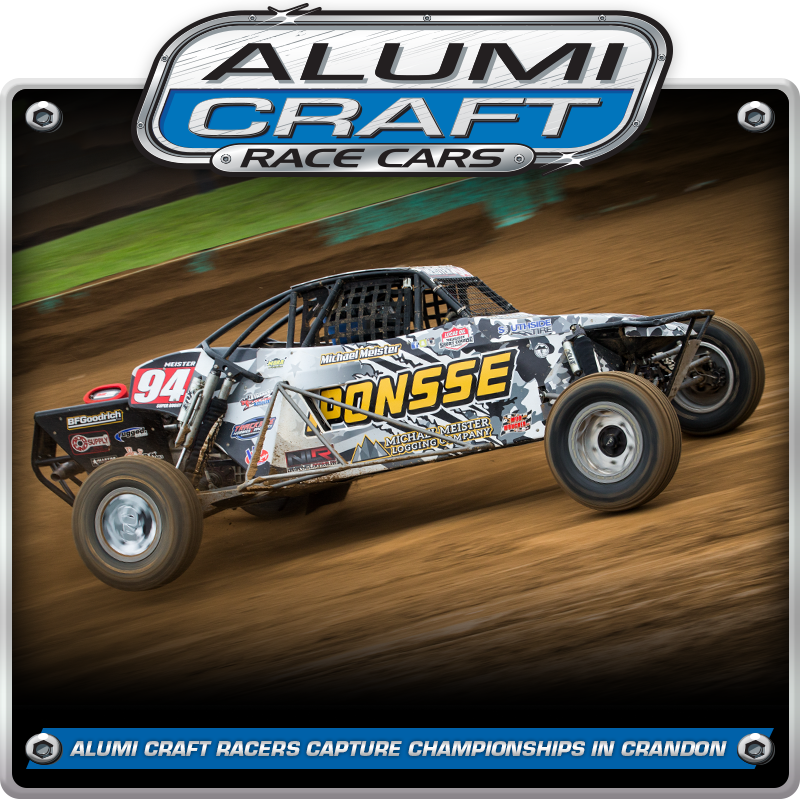 Alumi Craft Race Cars can be counted on to help racers achieve their dreams and win the big trophies.